Make a trendy addition to your little baby's closet with this eye-catching dress. 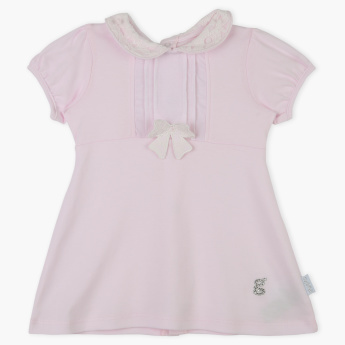 Sporting a dainty lace Peter Pan collar, the dress is enhanced with pintucks and a bow on the front. 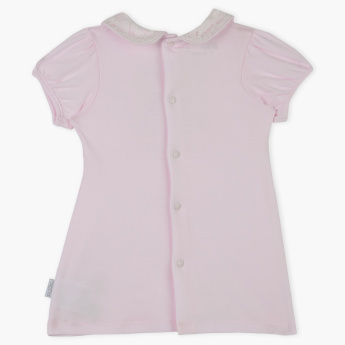 The complete placket makes it easy to change or dress your kid.